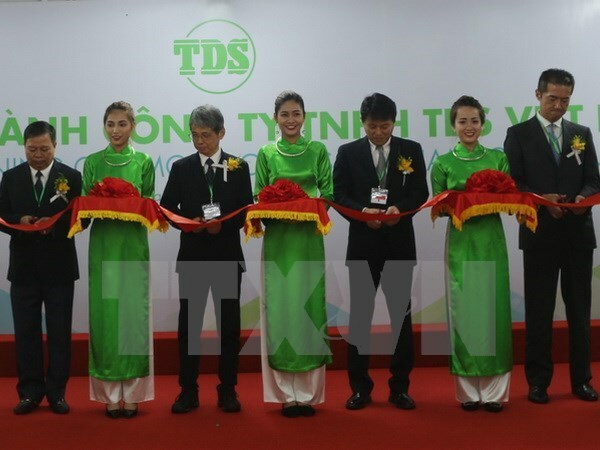 Ha Nam (VNA) - Vietnam TDS Co. Ltd., a subsidiary of TDS Co. Ltd of Japan, on September 21 inaugurated a solenoid factory in Dong Van 2 Industrial Park in Duy Tien district of northern Ha Nam province. Takahashi Takihiko, General Director of the TDS Co. Ltd., said the factory, built at a cost of over 5.4 million USD in the first phase, has a monthly capacity of 1.7 million products. It is expected to create jobs for around 400 workers. Addressing the inauguration ceremony, Chairman of the provincial People’s Committee Nguyen Xuan Dong said the factory will help meet the local market’s demand and increase the export value, thus contributing to the province’s socio-economic development. Dong called on the company to well implement its investment commitments and comply with Vietnam’s law and Ha Nam’s regulations during its operation and business process. He also requested the Vietnam TDS Co. Ltd to take care of their employees while urging the province’s management board of industrial parks, relevant departments and sectors to facilitate operations of the company and other investors.